Jha offered the keynote presentation at Oppenheimer & CO.'s Technology & Communications Conference on Tuesday. 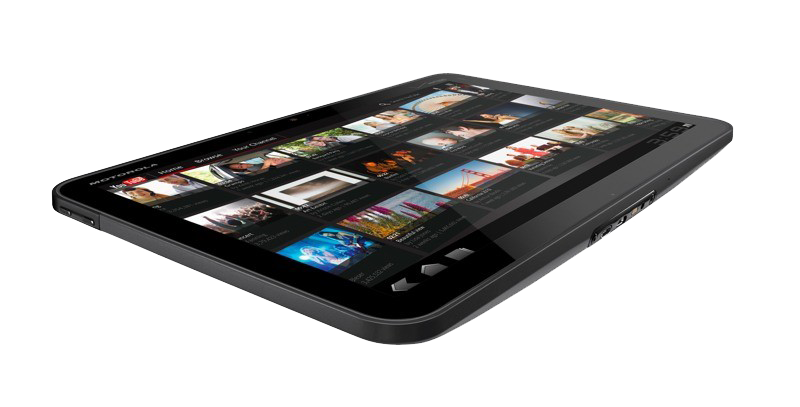 He noted that Motorola has some "important global launches" coming up in both tablets and smartphones. When asked what the company learned from the launch of the Xoom tablet, Jha said that tablet price points had "moved much faster" than Motorola had expected. The company had trouble matching the price of its entrenched competitor, Apple's iPad. The executive added that Motorola needed more applications and content available at launch. He also said that the Wi-Fi-only version of the Xoom had been more popular internationally than originally expected. Motorola announced last month that it had shipped 440,000 tablets in the most recent quarter, a fraction of the 9.25 million iPads Apple sold during the same period. The slow start of the Xoom, which was the first tablet to run Google's Android 3.0 Honeycomb operating system, reportedly caused delays for other Android tablet makers, who worried that their tablets might suffer the same fate. During the keynote, Jha deemphasized the tablet market, remarking that Motorola remains focused on the smartphone. "As important as tablet is, I continue to believe that smartphones are much more important as a computing device," he said. He sees the smartphone market as being primarily a contest between Apple's iOS and Android, with the remaining platforms left fighting for the scraps. With Microsoft's Windows Phone, HP's WebOS and Research in Motion's BlackBerry/QNX platform all fighting to gain share, Jha said that only one or two of them may ultimately survive. Though Motorola established itself as a prominent Android vendor early on with successes like the Droid smartphone, it has recently lost ground to rival Android vendors Samsung and HTC. The most current data from IDC shows that Apple is the world's largest smartphone vendor, followed by Samsung, Nokia, RIM and HTC. Jha candidly said that Motorola is "completely open to the notion of Windows as a platform," despite the fact that all of the company's focus is currently on Android. Android is "the ecosystem that we're proud to be a part of," he said. "We're not leading the charge with Windows 8, but as we become comfortable that that's a viable ecosystem...we might consider it," Jha said. The executive added that getting the same kind of preferential treatment and deal that Nokia would strengthen his company's interest. "If our position could be made to be somewhat equivalent [to that of Nokia], that would be an interesting option for us to consider." Moving on to discuss the current patent situation, Jha reassured investors that Motorola Mobility has a healthy intellectual property portfolio. According to him, Motorola has "one of the strongest IP portfolios" in 4G wireless networking, 2G, 3G and battery management. Apple and Motorola are currently locked in a heated patent dispute. Motorola sued first last October, accusing Apple of infringing on patents related to 3G, GPRS, 802.11 wireless and antenna design. The iPhone maker then responded with its own suit. A recent victory by Apple over rival handset maker HTC has prompted some analysts to suggest that Motorola could be in danger of having to pay royalty fees to Apple for each Android device it sells.